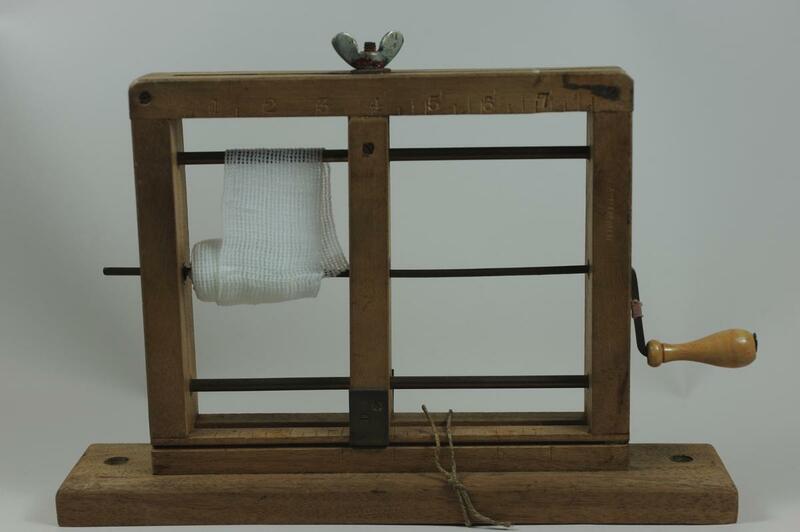 'Hindley' wooden bandage roller attached to wooden base. Adjustable centre piece to make different sizes of bandages, measurement in inches along top and bottom. Slighty rusty.